Connecticut police have released the latest batch of documents relating to the Newtown school shooting—search warrants that provide the latest glimpse into the home life of Adam Lanza but paint an unclear picture of what drove him to kill 20 first graders and six adults at Sandy Hook Elementary before taking his own life. They have been steppin gup the Asam Lanza shooting, he is th eonlyu shooter being mentioned which is strange considering he was dead the day before the shooting. I have seen one partent laughin ghis head off and then teol he was on next, he ran his hand over his face and put on a serious look and then gave a speech about his dead daughter Emily. I saw a lot of things that didn’t ring true, Obama visiting the school before the shooting was one, I asume it was before since these children were alive and th eparents were smiling. 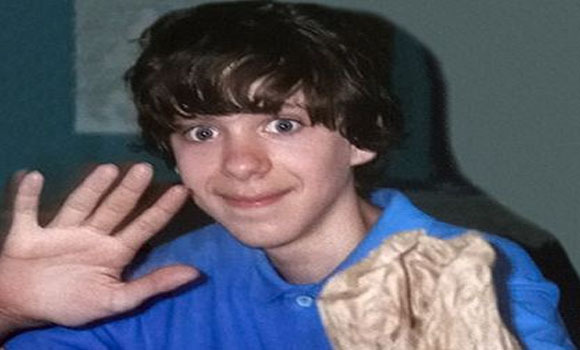 I only know htat Adam Lanza couldn’t have doen it, I don’t believe he killed his mother either, I do believe everything that could be planted in his basement has been planted. First they said it was one shooter with a rifle aneh it was 3 shooters and now 6 shooters, they never mentioned the two sooters they chansed, they caught one, I saw him handcuffed on the ground, they never ever mentioned them. then there were 3 others dressed as nuns, I’m getting dizzy. Then they kept those poor children in the school all night while they removed all the bullets, they probably all came from one o rtwo guns, we will never know. Obama wants that gun control pretty bad, Biden said he isn’t giving up just because he didn’t win this round, he said he is just starting, does that mean there will be more dead children? does anyone believe this crap? a man the bus driver sleft 8 kids who survirved with, did anyone know him? he was weird, I owuld n’t have left the kids wiht him, keep drivin g to the police station, mos tparents would not hav eleft their dead child in a schoolroom on th effloor dead all night and half of the next day, how horrible. whaty were thye so ansxious ot get the bullets out, they had already killed th shooter right? they had hsi rifle, oh thats right, h edidn’t have a rifle with him, maybve because he waasn’t there. VP Biden swore he was going to keep after us , isn’t that called harassment? Lynn Suter is a researcher, she writes for news with views, she is a smart woman and she was puszzled by this , I am too, this boy and his mother are dead, no one knows what happened except the people who killed them, Adams Father worked for the same co. the Fathe rof the Batman shooter worked for, they knew each other , they were friends and they were oging ot a trail on Libo , some bribery case, I find that very strange. Please look at this case more carefully, ther ewas a death certificate for Adam Lanza so yes he was dead the day before, now that is strange,. I odn’t think he was a hsut in, I have two pictures where he was outdoors, he also went to school, how could he be a shuut in. my son in law played call to duuty, he is a NY cop, I played violent games for a long time, they got boring, soemone eought to examine the people who thinks all of this is going ot make you go out and kill 21 kids, . I am still not convinced that Adam Lanza did it. A mentally unstable person hell bent on killing so many does not have the capacity to commit suicide afterward. There are too many holes in the story and most everybody knows it. That young man did NOT get that way on his own (screwed up) . (He Had Help) and he did not act alone .